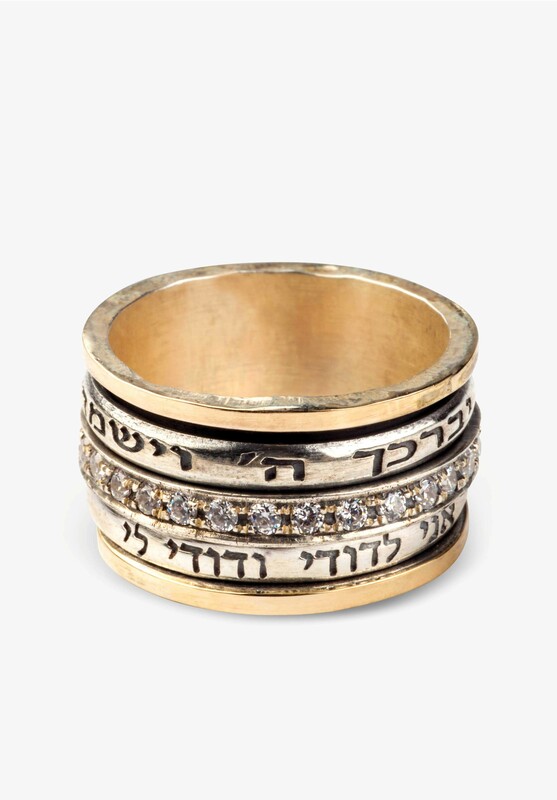 Sterling silver and nine karat gold Bible ring with three thin rotating inscribed rings. Each of the two narrow silver rings is inscribed with a different blessing of your choice. The middle ring is festively studded with zircon stones. Wearing jewelry with Hebrew texts inscribed is considered a way to bring the bible into everyday life and practice for guidance, protection and success.